Prolific environmental activists have formed a fledgling old-growth forest watchdog group after parting ways with the Western Canada Wilderness Committee. Ken Wu — The former campaign director for the Western Canada Wilderness Committee — and the new head of the Ancient Forest Alliance says there are a million hectares of unprotected old growth forests at risk on BC’s south coast. When last we heard from Ken Wu, the Western Canada Wilderness Committee’s Victoria campaign director had announced he would be stepping aside to travel the world. But those plans have been put on hold, with Mr. Wu launching a new environmental group in response to a wilderness committee decision he says will downsize the campaign against old growth logging on Vancouver Island. 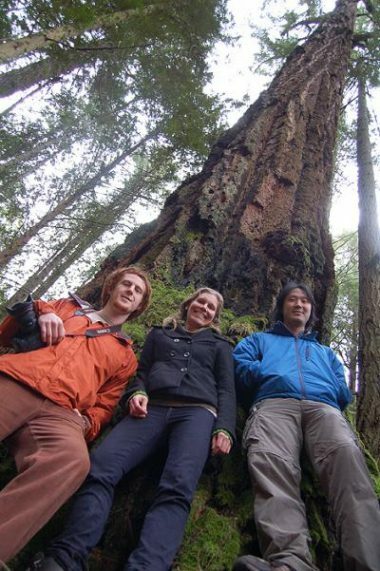 A new organization working to protect BC's old-growth forests and forestry jobs, the "Ancient Forest Alliance" (AFA), is being launched today by Victoria environmentalist and former Western Canada Wilderness Committee (WCWC) campaign director Ken Wu, former WCWC forest and marine campaigner Tara Sawatsky, and Metchosin photographer TJ Watt.